The Ted Lindsay Award is presented annually to the &ldquo;most outstanding player&rdquo; in the NHL as voted by fellow members of the National Hockey League Players &rsquo; Association. The winner receives $20,000, and the two finalists receive $10,000 each to donate to the grassroots hockey program of their choice, through the NHLPA&rsquo;s Goals &amp; Dreams Fund. 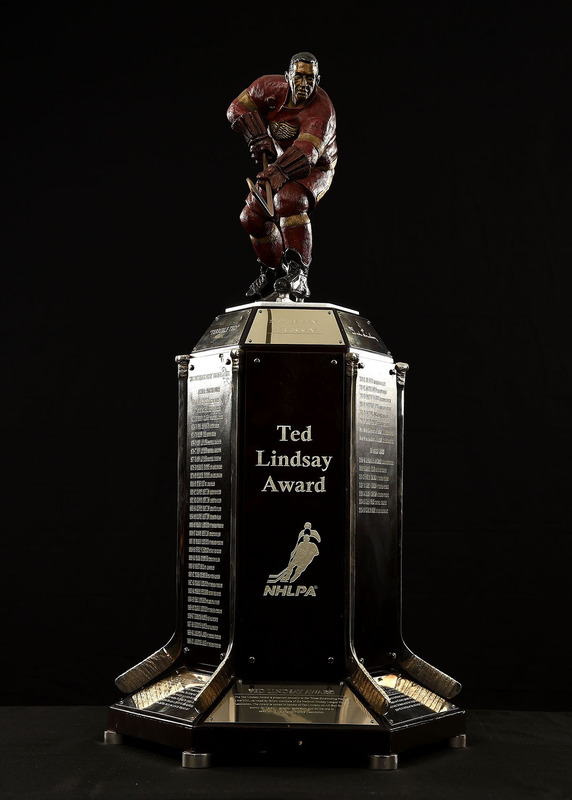 History: On April 29, 2010, the Ted Lindsay Award was introduced to recognize Lindsay&rsquo;s pioneering efforts in the establishment of the NHL Players&rsquo; Association. Carrying on the tradition established by the Lester B. Pearson Award, it remains the only award voted on by the players themselves. The award was originally created in 1971 in honor of the late Lester B. Pearson, former Prime Minister of Canada. Right winger Patrick Kane of the Chicago Blackhawks is the winner of the Ted Lindsay Award. In the 45th season of the &ldquo;Most Outstanding Player&rdquo; award being been presented, Kane becomes the first U.S.-born player to receive the honor, as well as the first recipient in Blackhawks history. During the 2015-16 NHL regular season, Kane led the league in points (106) to also earn his first Art Ross Trophy. He finished first in points-per-game (1.29), first in power-play points (37), second in goals (46), tied for second in power-play goals (17), tied for second in game-winning goals (9), and ranked third in assists (60). Kane &rsquo;s totals in goals, assists and points all set career highs and he helped lead the Blackhawks to the playoffs for the eighth consecutive season. The award was first presented in 1970-71 by the NHLPA in honor of the late Lester B. Pearson, former Prime Minister of Canada.